Lady Eli enters the Belmont winner’s circle to applause after the Flower Bowl — the champion’s second start back after beating laminitis. “It takes such a rare horse to overcome what she has,” said trainer Chad Brown. “I think she’s one of the all-time great turf mares.” It’s onward to the Breeders’ Cup. 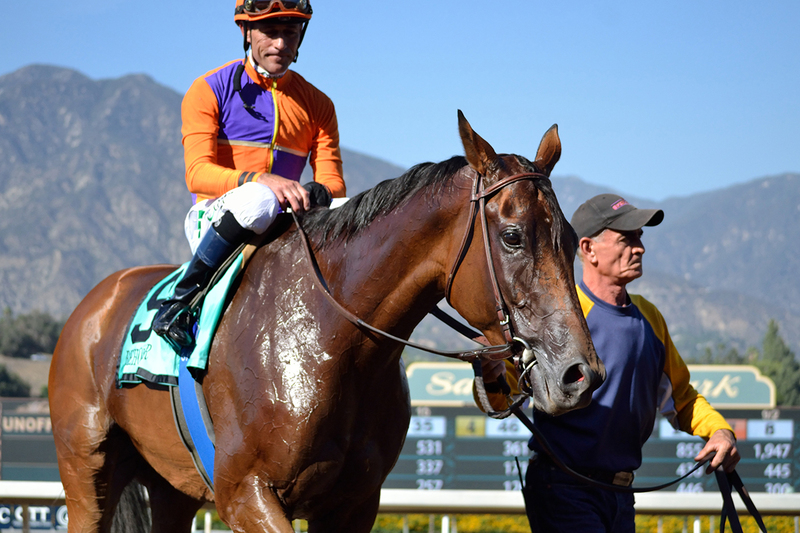 It was such a certainty that Beholder would win the $300,000 Grade I Zenyatta Stakes that by the time she had cruised to a 3 1/4-length triumph over second-place My Sweet Addiction at odds of 1-9, Santa Anita was figuring out how much money it had lost. There was a $75,708.52 minus show pool and $4,750.12 minus place pool. Beholder returned $2.10 to win, place and show after finishing the 1 1/16-mile race in 1:42.83. I cannot wait for this year’s Breeders’ Cup Classic. Four months from the Breeders’ Cup Filly and Mare Turf, and Lady Eli looks unbeatable in her likely year-end race. “She certainly has the most devastating turn of foot I’ve ever worked around,” trainer Chad Brown said after the 3-year-old filly brought her undefeated career record to six with a 2 3/4-length win in the 1 1/4-mile Belmont Oaks. Her final time of 1:59.27 earned a Beyer speed figure of 98. Her TimeformUS figure is 120. *Trakus time; Teletimer/chart time is 1:11.71. Laminitis is a vicious disease. “If you’re an optimist, you’d say she’ll race again. If you’re a pessimist, she could be battling for her life,” co-owner Jay Hanley told the Blood-Horse. Brown said the veterinary team caring for Lady Eli has established a set of goals for the filly to achieve on a weekly basis, and thus far she has met them. “I am personally pleased with how she’s moving and her overall condition and attitude,” Brown said.